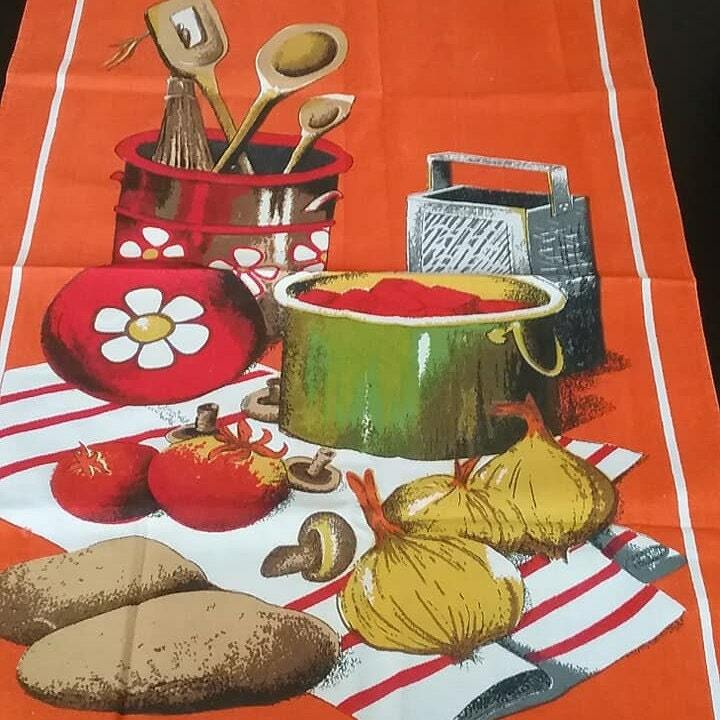 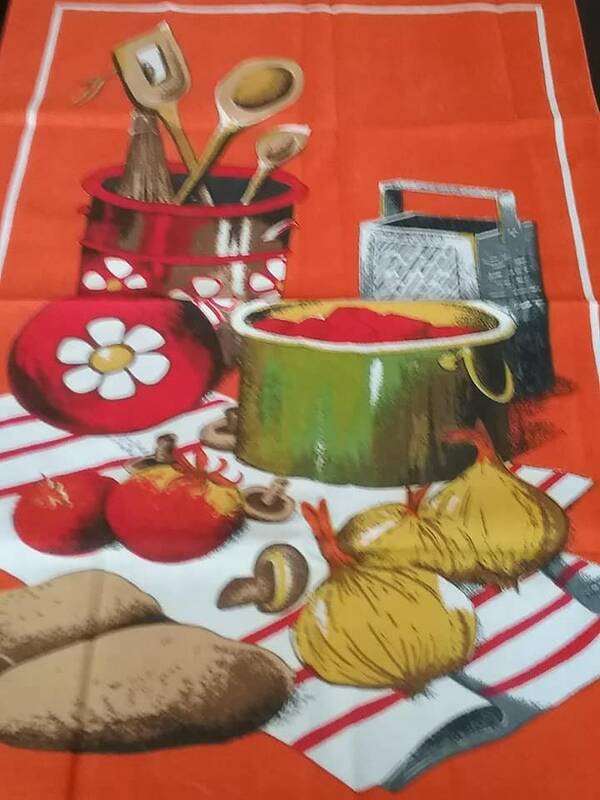 100% cotton, large, 26.5" x 17.5" orange, kitchen theme Tea Towel. 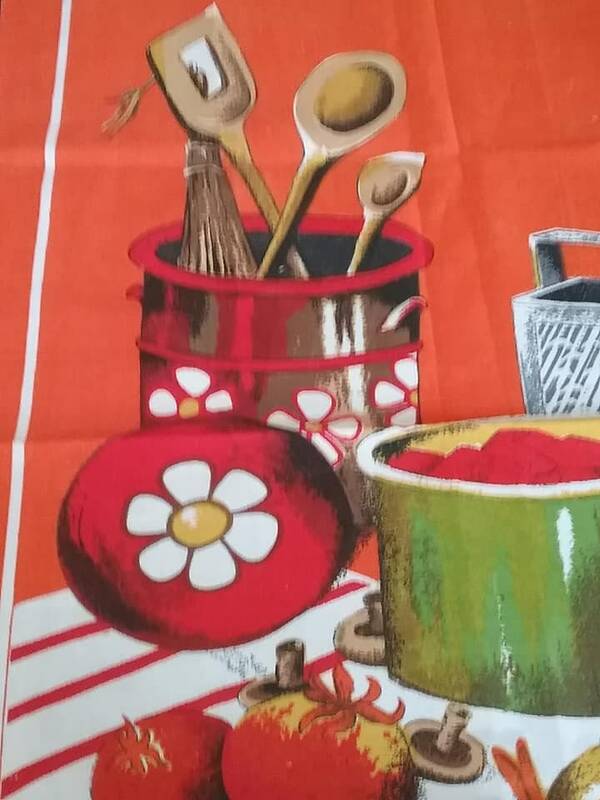 Bright and crisp picture of kitchen dinner prep with pots, veggies and cooking utensils. 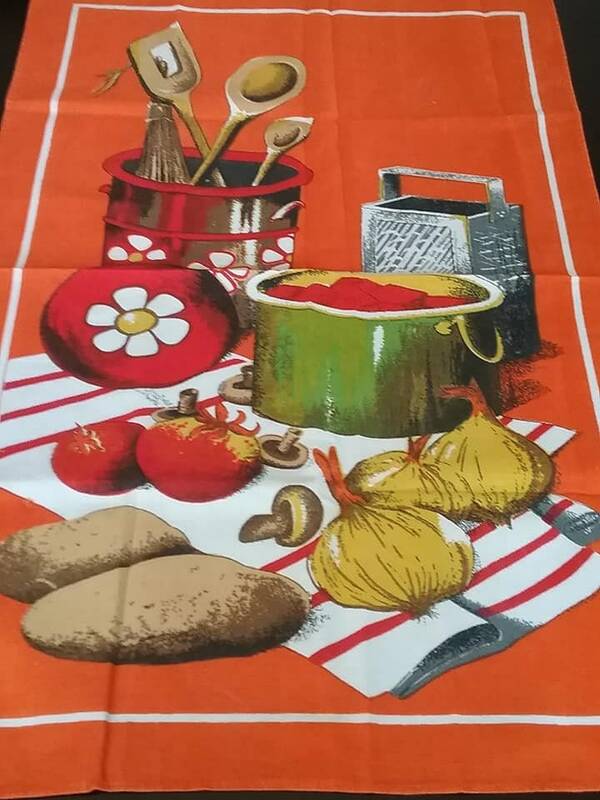 Would standout as a lovely wall decoration for the retro kitchen. 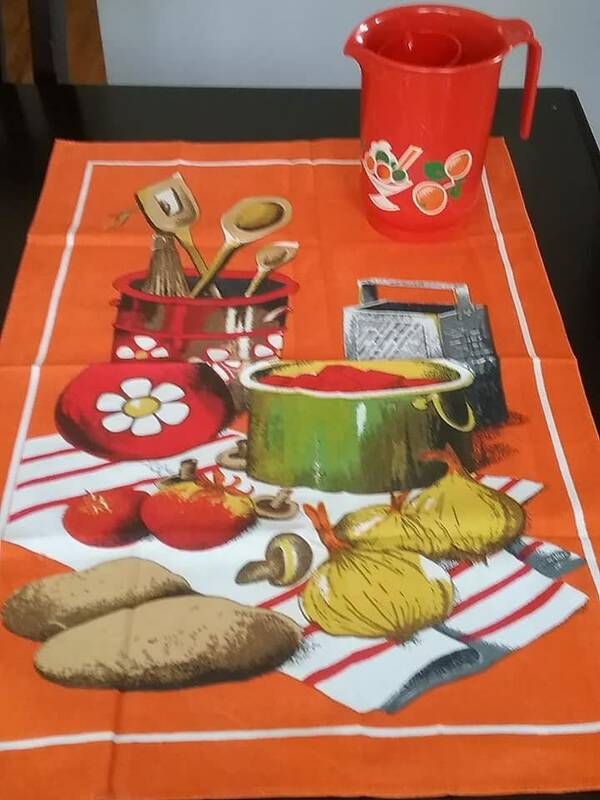 Colors and design remind one of the homey kitchens of the 70's....share the memories.